A clean home or business is an important, critical part of everyone’s life. It’s our goal to make sure it’s a part of yours, and to do whatever we can and need to do to make sure you’re satisfied with our services. 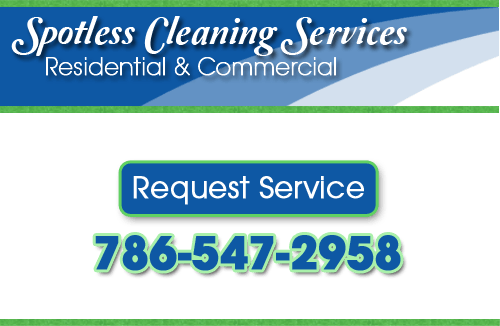 All of our cleaning services are designed to be customized to fit your specific needs. And if you need anything changed or added, just ask. Our Key Biscayne housekeepers aim to give every customer exactly what they need. All of our cleaning products are up to the local codes and standards of Key Biscayne and Miami. And we only use products that are friendly to the environment. If anyone in a building we’re cleaning has any allergies or sensitivities, we’ll change our products and services to ensure their safety. Please let us know about any of these circumstances. And if you need any other modifications or additions to our service, let us know and we’ll be sure you recieve them. Call to schedule an appointment and we’ll be looking forward to giving you a cleaner, happier home. People are often too busy to find the time to do the cleaning they’d like to, or too stressed to want to make the time when they could. Or maybe mobility issues or illnesses keep them from it. The fact is, no one does the amount of cleaning they’d like to, and our Key Biscayne housekeepers would like to make a clean and organize home a regular part of your life. We can offer monthly cleanings if you just need some help every few weeks. Or if you need it, we can be there every week to keep things in order. If you’ve just fallen behind lately, we can stop in for a one-time detail to get you back on your feet. Our Key Biscayne housekeepers are the most thorough and professional around, so you’re guaranteed a clean and organized home that you’ll love to be in. If you’re in the middle of trying to rent or sell a property, having a professional cleaning can help. We’ll speed up the process by making your property look and feel better than ever. You’ll have people making decisions in your favor much more quickly. If you rent out vacation property, we can help you maximize the time you have guests by minimizing the time you spend cleaning and getting the place ready for the next tenants. Have a professional do the job, and we guarantee you’ll see a difference. We have the best tools and techniques–not to mention, a great team of Key Biscayne professional cleaners–to make sure we can give your commercial building the best clean possible. We’ll clean any size building and no mess is too much. After construction or renovation we can clean up all the building materials and debris. Any floors or surfaces will be scrubbed until they’re immaculate. If you’re looking for housekeepers in Key Biscayne, call us today at 786-547-2958, or fill out our online request form.